Valley Cottage, NY wholesale partnership firm Life Magnitude has launched a Brand Vitals Snapshot to help large brands better understand their online marketplace seller landscape and take corrective actions. The company works with brands as an authorized reseller, providing advisory services to improve brand performance. Valley Cottage, NY wholesale partnership firm Life Magnitude announced the launch of its Brand Vitals Snapshot audit report for brands who struggle with Amazon resellers. The company designs and implements professional product promotion strategies, free of charge, through direct wholesale partnership as an authorized reseller. The company’s product solutions focus on helping brands optimize the sales of their products through online marketplaces. Life Magnitude does not function as a consultant or service provider, but as a value-adding partner to help businesses avoid common retail pitfalls such as minimum advertised price (MAP) policy violations. The Brand Vitals Snapshot is an audit-oriented analysis that identifies areas of improvement in the product listing, areas where a brand’s competitors are outperforming them in marketing products, and an advertising footprint analysis for seller campaigns. These insights are available to brands as a benefit of partnering with Life Magnitude, within a wholesale re-seller relationship, but they maintain a strict criteria of who they take on as partners. The firm’s team of product, management, and sales professionals offers reporting, vigilance, advisory, store optimization, bundling, strategy, product testing, competitor analysis, and other auxiliary services. 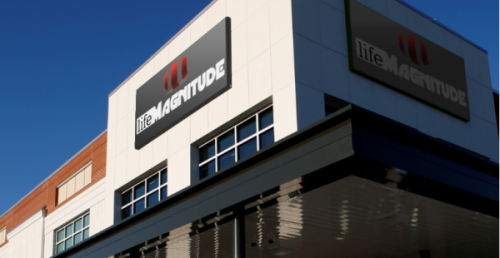 The Life Magnitude team focuses on profitability for online product listings, brand positioning, product positioning, combinations with complementary products, and other branding strategies. Life Magnitude is a professional wholesale brand partnership provider comprising product specialists, managers, brand owners & designers. The company has worked with some of the world’s largest brands to optimize product representation and fuel revenue growth by maintaining product market integrity. More information is available by calling 844-777-4422 or by visiting the URL above.